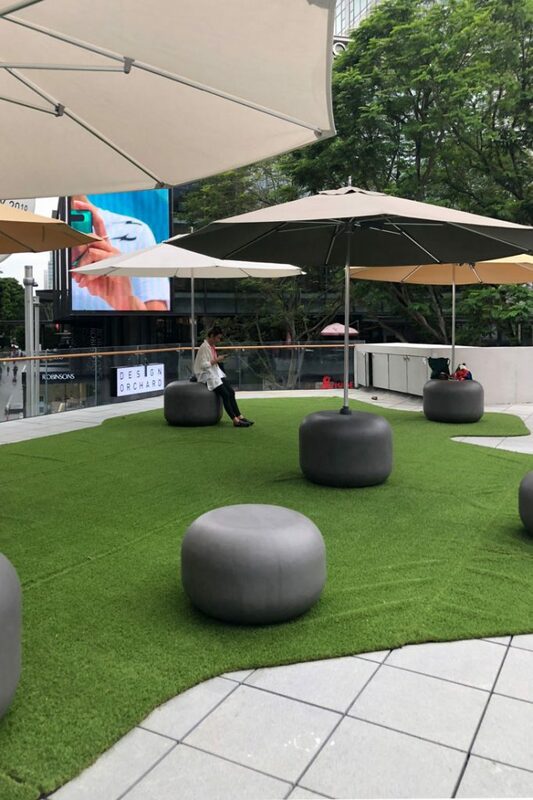 WOHA’s newly opened Design Orchard combines a retail showcase with an incubation space, and provides a much-needed breathing space in one of Orchard Road’s most prominent junctions. 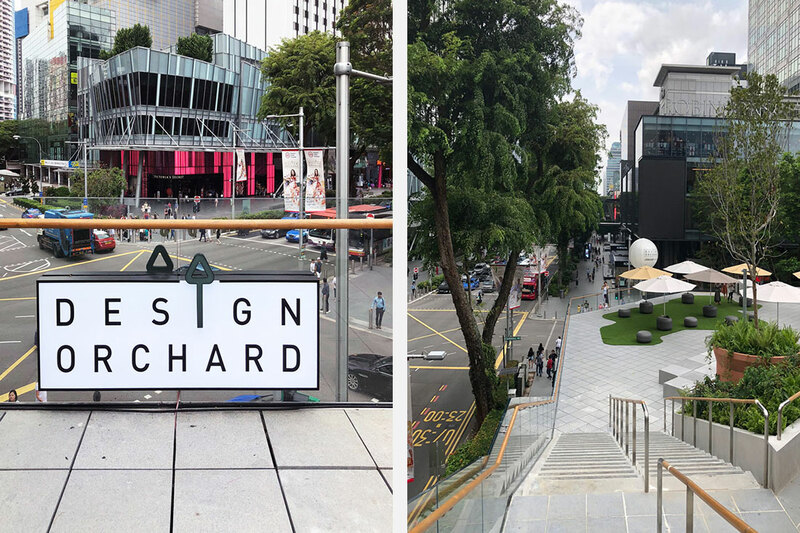 Orchard Road’s latest retail destination, Design Orchard, officially opens today, 25 January 2019. 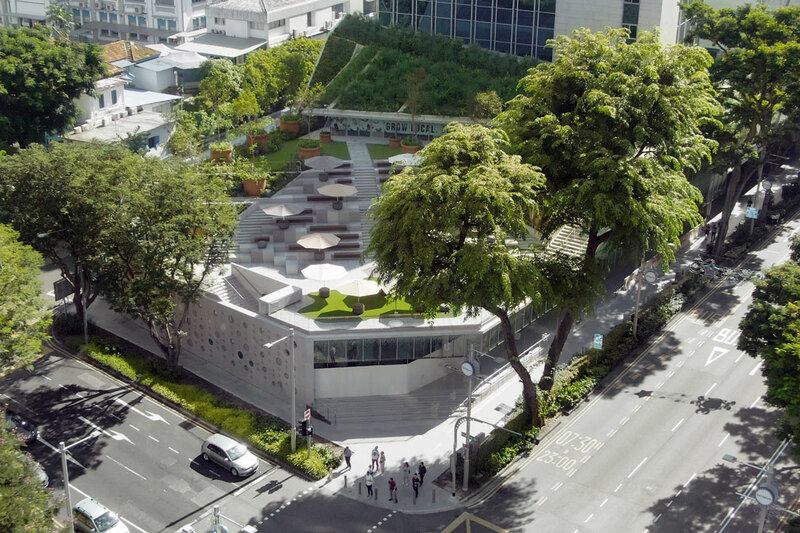 Designed by WOHA Architects, the three-storey building occupies a prominent site at the juncture of Orchard Road. 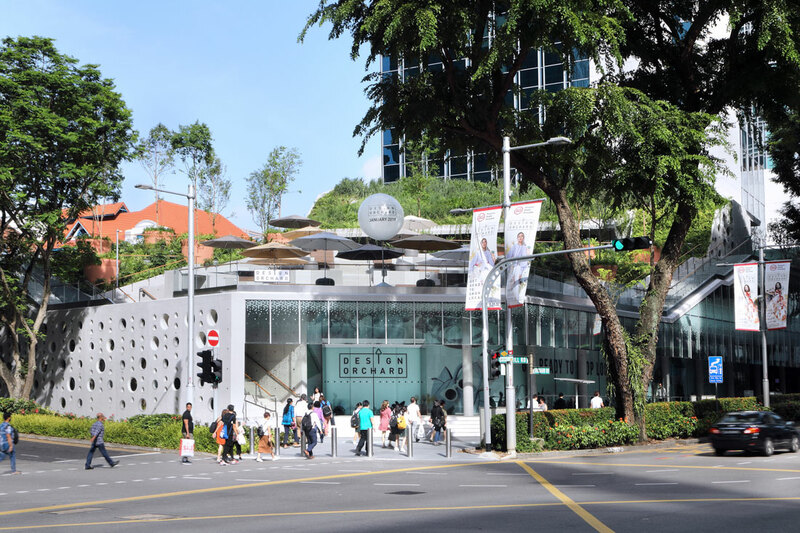 The site was the former location of the successful multi-retail pop-up Keepers at Orchard, which ended its run in 2016 after a 16-month run. 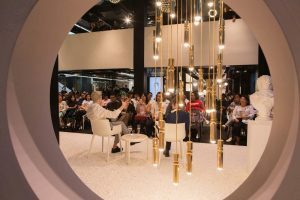 In 2017, landowner JTC together with Singapore Tourism Board (STB) and Enterprise Singapore envisioned a retail space to groom and promote Singapore’s creative talent as well as offering a new compelling shopping experience. 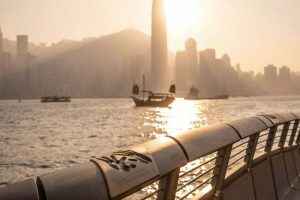 The agencies held a design competition for the destination, titled Design Orchard. 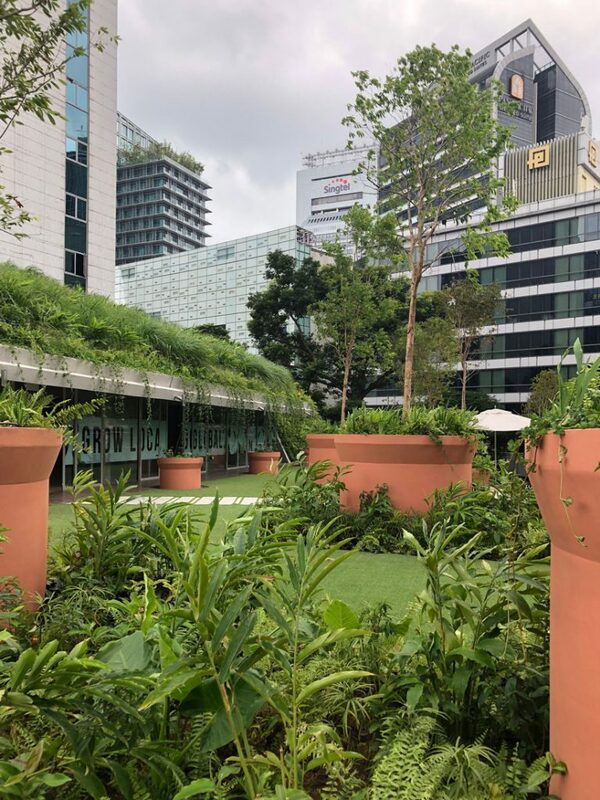 WOHA Architects emerged as the winner of the competition with a three-storey concrete shell and a cocooning lush landscape that creates the most exciting prominently positioned, publicly accessible rooftop in the area to date. 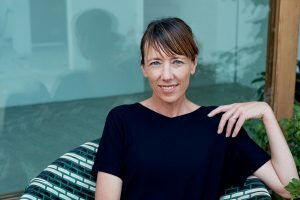 The brief called for a retail space, public space and coworking space. 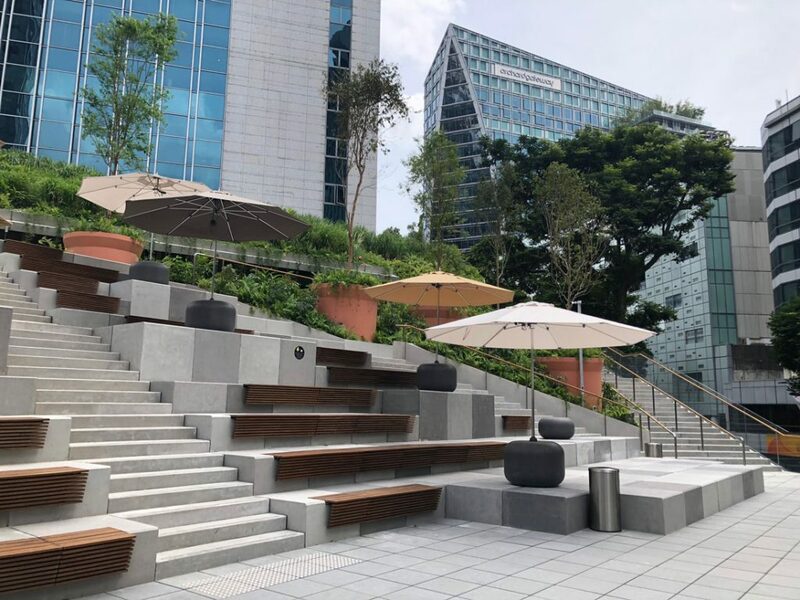 “[The brief] would typically have resulted in a three or four storey building with small retail space footprint on multiple floors and a public space on the ground floor,” says Jonathan Choe, Associate at WOHA who helmed Design Orchard. 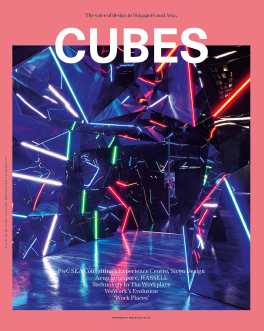 Through workshops, research and observation, WOHA flipped this typical programme to suit the habit of today’s shoppers by placing the retail on the ground level and the public spaces on the upper levels. 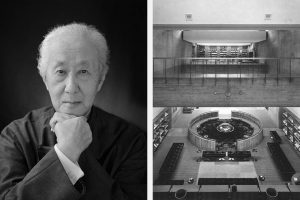 The building was conceived to combine all stages of design from concept to production and from showcase to retail. 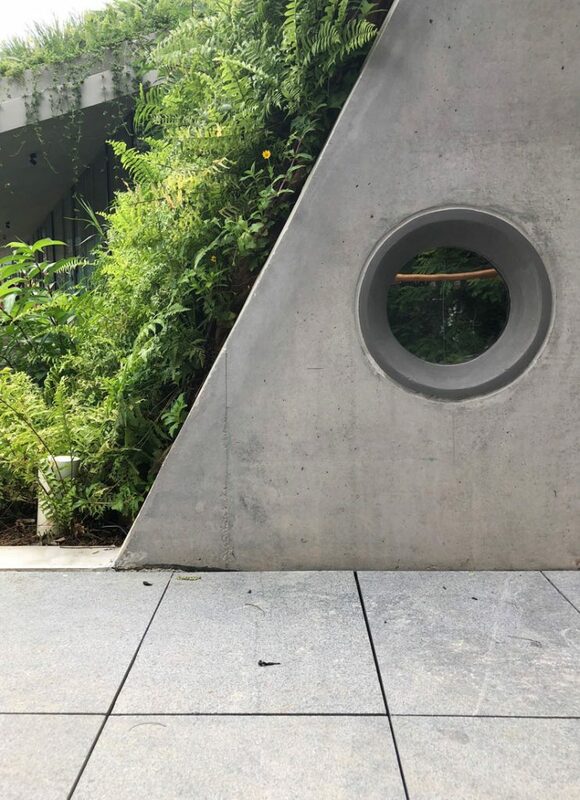 Housing more than 60 homegrown brands, the retail level is managed by retail operator Naiise and designed by interior designer MJKY Architects. On this level, WOHA’s ultra-minimalist material palette, which consists of only concrete and occasional wood, serves as a canvas that lets each retailer’s display to stand out. 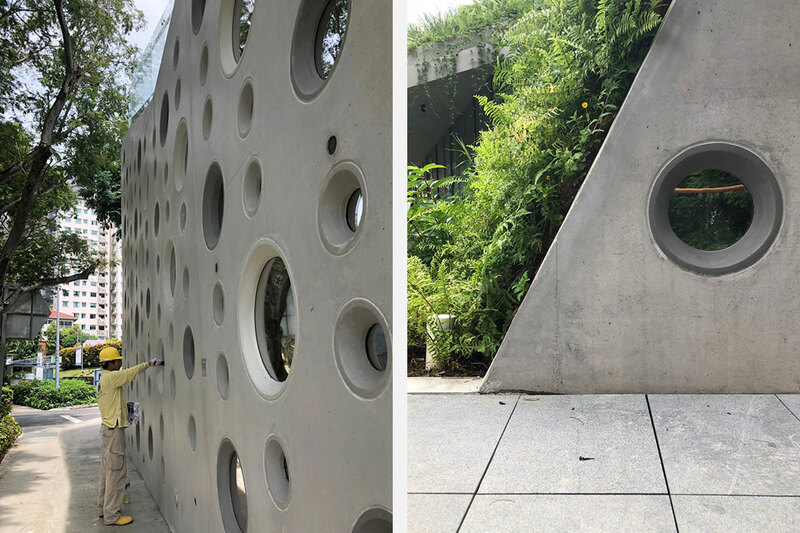 Meanwhile, porthole openings soften the coldness of the concrete whilst serving as visual interest and creating Instagrammable moments. The second level is perceived as one large open space with a stage and amphitheatre. The coworking and incubation centre are hidden behind the amphitheatre and accessible from the retail area. These areas are visually linked with the retail level via an internal atrium. 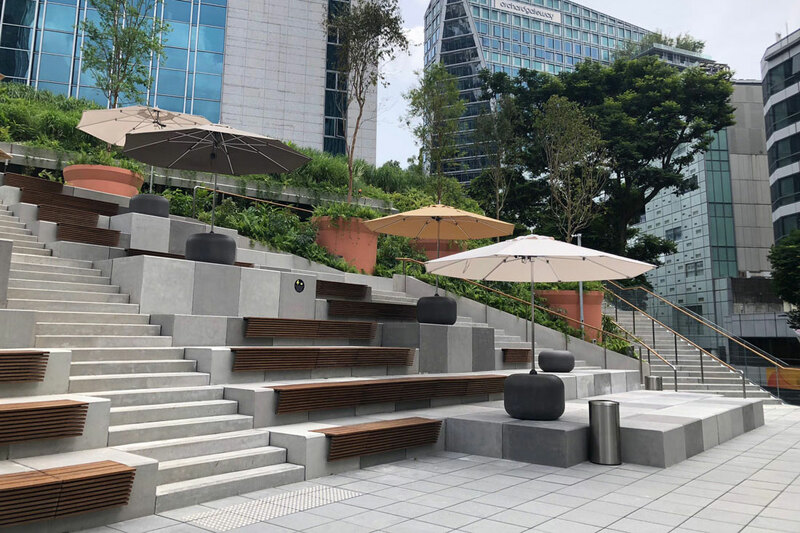 The amphitheatre leads to another incubation space and a cafe area on the third floor, both blessed with a full view of the orchard road framed with lush greenery. 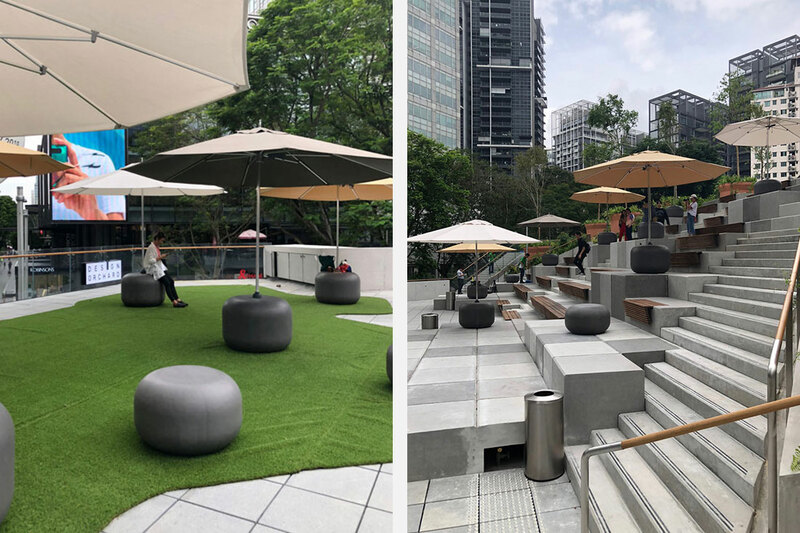 “Having a visual connection to the rooftop from the street-level lets people know there’s a green public space up there – and entices passers-by to go up and use the space,” says Choe. 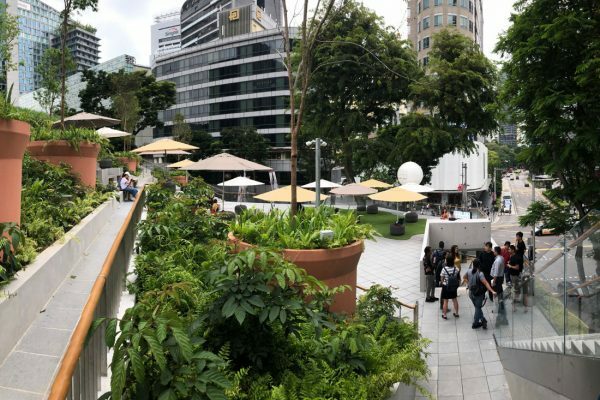 The civic space on the second floor will host events complementary to the building programme such as outdoor fashion shows, performances, and concerts with an exciting bird’s eye view of the famed shopping street as the backdrop. 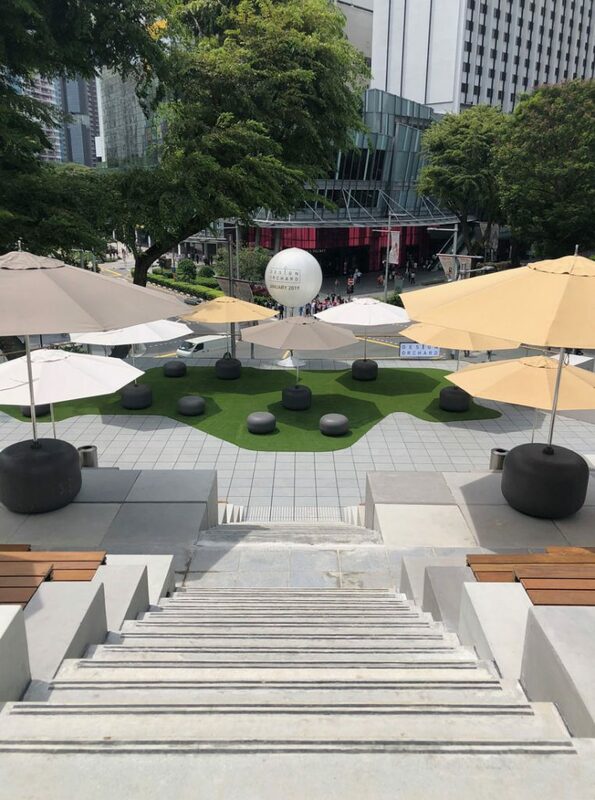 Outdoor furniture items decking the area, which includes pebble-shaped benches, umbrellas and the synthetic turf carpet, have been designed to be easily reconfigured or cleared while the base of the amphitheatre doubles as a stage. 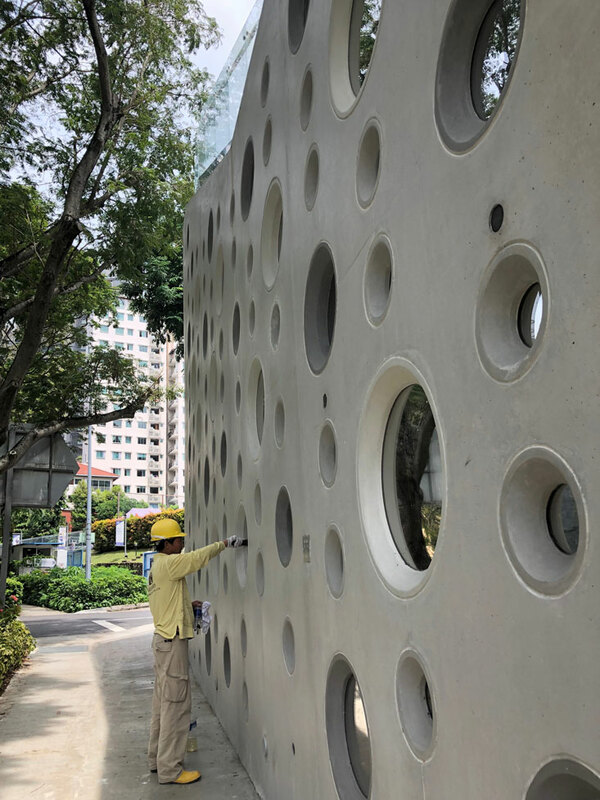 WOHA’s work consistently promotes the normalisation of what seem at first to be radical concepts, like OASIA’s living facade and garden-infused Park Royal at Pickering. So where does this project place? 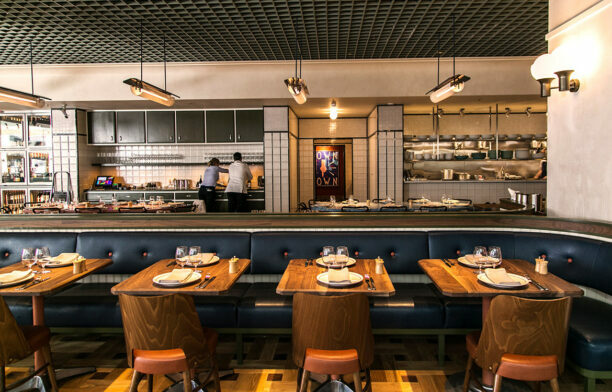 What will we find (at first) to be radical in this Design Orchard’s design? 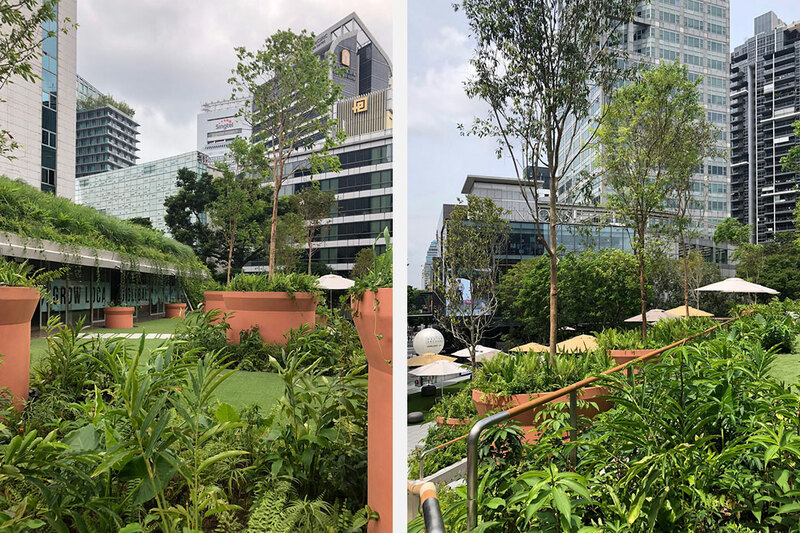 “The inclined planes of the roof, covered in green, and the multi-use public space that can be seen from the street-level, combined with this programmatic mix is a first for us,” answers Choe. 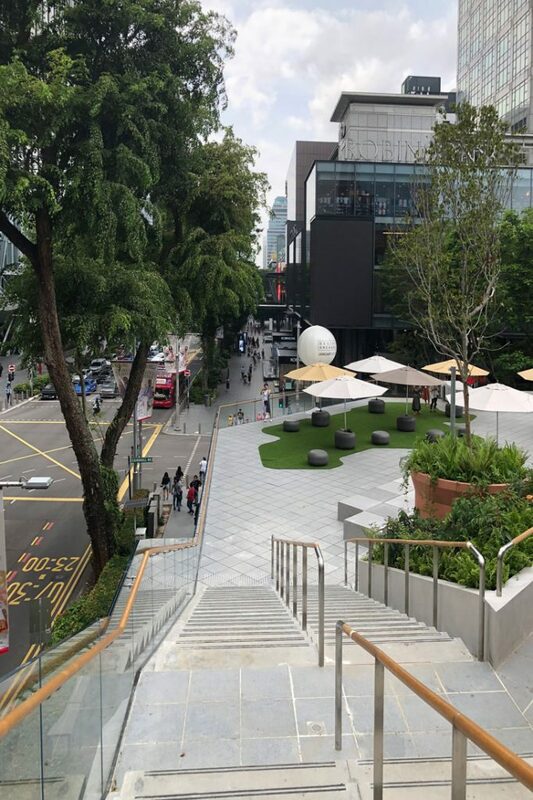 Indeed, viewing the vista from Design Orchard’s rooftop, one is treated to another, a notably more gentle face of Orchard Road. 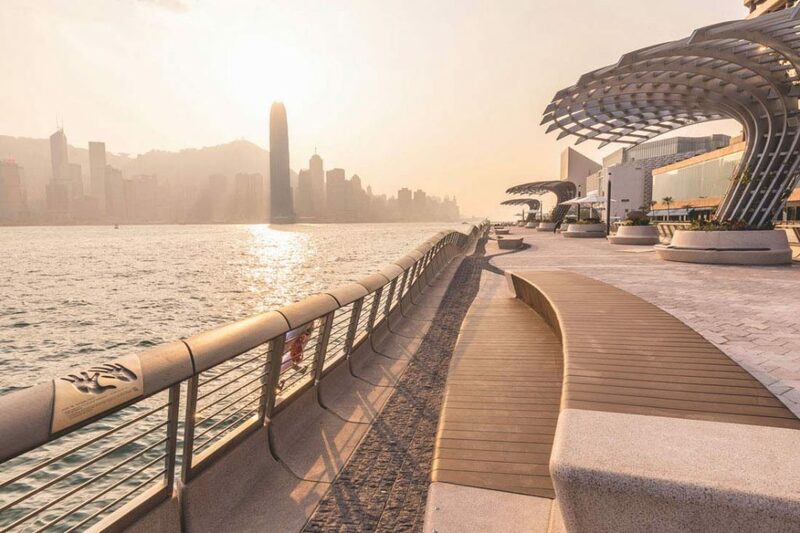 Operating within a pragmatic constraint of its prominent and incredibly busy location, WOHA has created a much-needed breathing space. 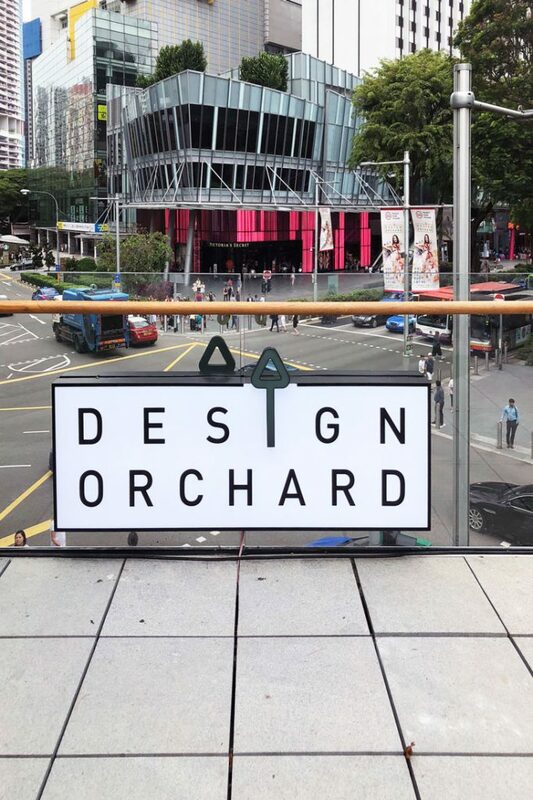 The retail level of Design Orchard is open to the public from 10:30am to 09:30 pm while the upper levels will be accessible starting February. The coworking space is slated to open in March. Photos by Asih Jenie, unless otherwise stated.